Cairns is a true multicultural community with a population from nations across the globe. If you can’t find the cultural group you are looking for, Cairns Regional Council may be able to assist with information or contact information. Cairns & Region Multicultural Assoc. Inc.
Papua New Guinea & Wantoks Assoc. The Sister Cities program aims to develop meaningful and long term links with cities and communities in other countries. The program encourages international understanding and goodwill between peoples, and to share economic, community, cultural and social interaction. 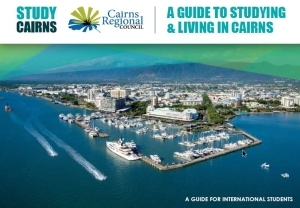 Download the Guide to living and studying in Cairns.